It is indeed a pleasure to accept a kind invitation from the distinguished guitarist Giulio Tampalini to write a short commentary on Toccata para guitarra, one of my father’s works that is most beloved to me for a series of circumstances. Toccata is one of the most difficult works ever written for the repertoire of solo guitar, but it stands as a forerunner of the guitar technique which characterizes Joaquín Rodrigo, considering that he is seen as a great guitarist although he never actually played the guitar. The work, written in 1933, was premiered 66 years later in 2006 by Marcin Dylla, symbolizing something like the Sleeping Beauty of the guitar. However, its composer was not sleeping all that time, and while he was not able to recover the only copy for guitarist that he delivered initially, he did preserve his original manuscript in Braille. And it occurred to him that it might be best used by turning it into the first movement of the magnificent Concierto de Estío for violin and orchestra, which indeed he composed and premiered in 1943. The work that first appeared to be unplayable due to the difficulty of its guitar language and the limited number of guitarists at the time is at present, thanks to the advances in technique achieved by today’s numerous guitarists, performed triumphantly throughout the world. 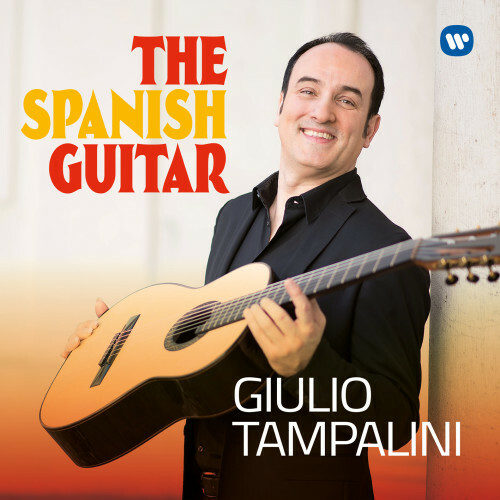 It is a great satisfaction and joy to welcome this new recording by Giulio Tampalini, which will undoubtedly constitute a step forward for the performer and for the work of Joaquin Rodrigo.